J.M. 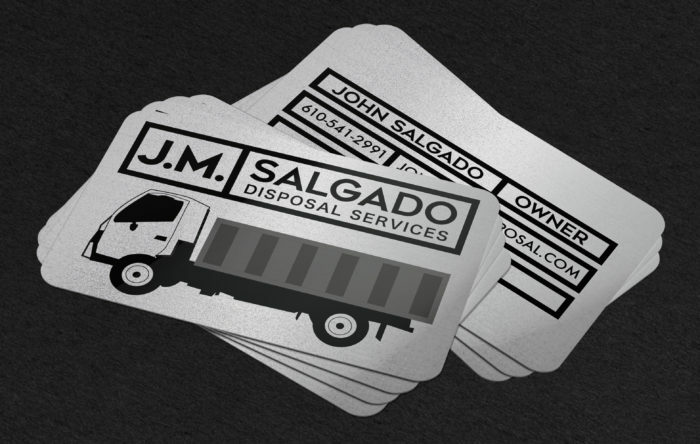 Salgado Disposal Services was looking to establish themselves as a brand that would be easily recognizable and remembered by repeat and prospective clients. 76 Solutions created a clean and modern look for the company that matches their reliable and expert services. The full branding package included a logo, website, business cards, flyer design, email template, vinyl decals, and social media management. 76 Solutions created a clean and simple website that showcases the company’s services and information. The business cards were printed on a metallic plastic for a unique and memorable effect. 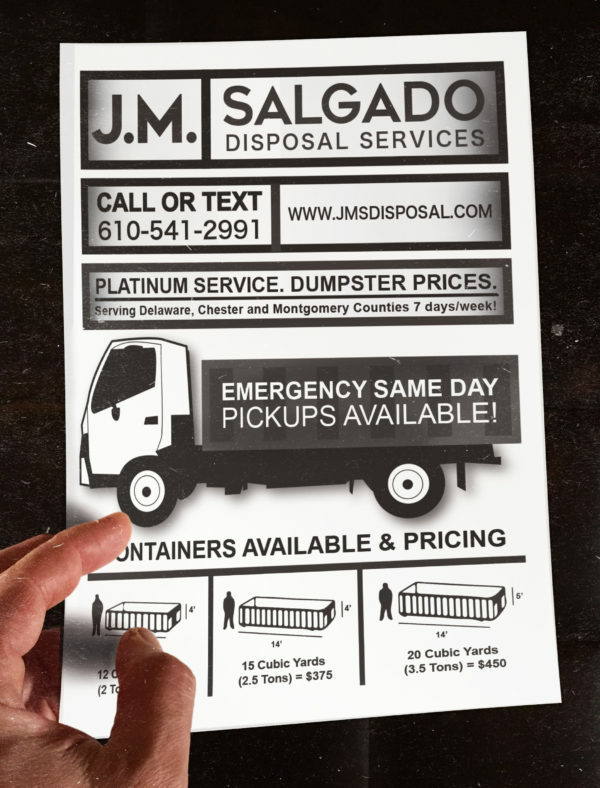 Straightforward flyer design advertised the services and available resources in an organized way. An email template was also created for additional promotional efforts and offerings for clients. Vinyl decal designs were created for the company trucks. Promoted Facebook ads for the services offered can reach heavily segmented users, leading to further exposure.